Merit helped us display our products in a more natural way and ensured the customers could clearly see them as well as having access to brochures. The final product was exactly how we pictured. When Alpine Electronics were seeking display stands for an imminent exhibition, they nearly reached a dead end. Especially when their partners in Germany had to say “Nein” as their displays were needed elsewhere. Fortunately, we were at hand to offer a solution at a time when, according to Mark Holmes, Marketing Assistant at Alpine, “no one else could get the units made in the required timeframe”. 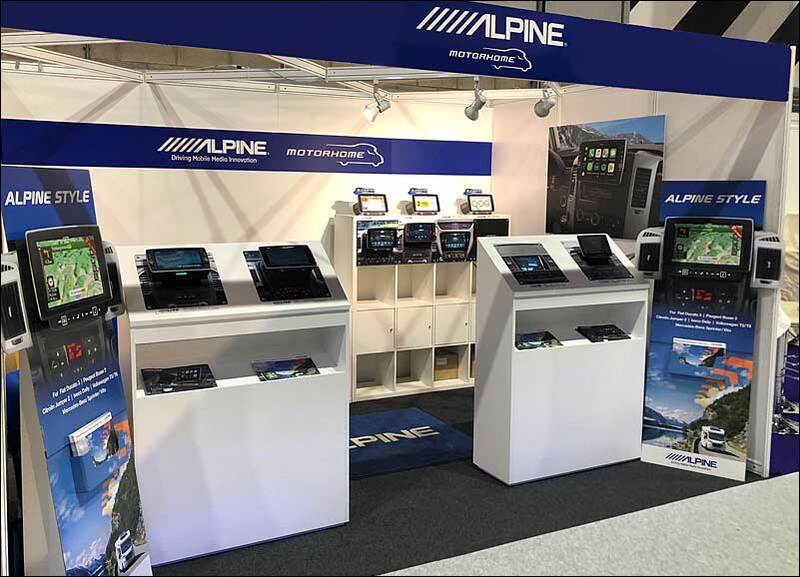 Alpine Electronics develops, manufactures, and sells audio products for cars, and the immediate need was to have display units for usage at the Motorhome and Caravan Show. One challenge was that, while there was a desire to have displays similar to those used in Europe, no technical drawings existed. Undeterred, we were able to employ technical innovation and, using the limited source information, a specification was created. 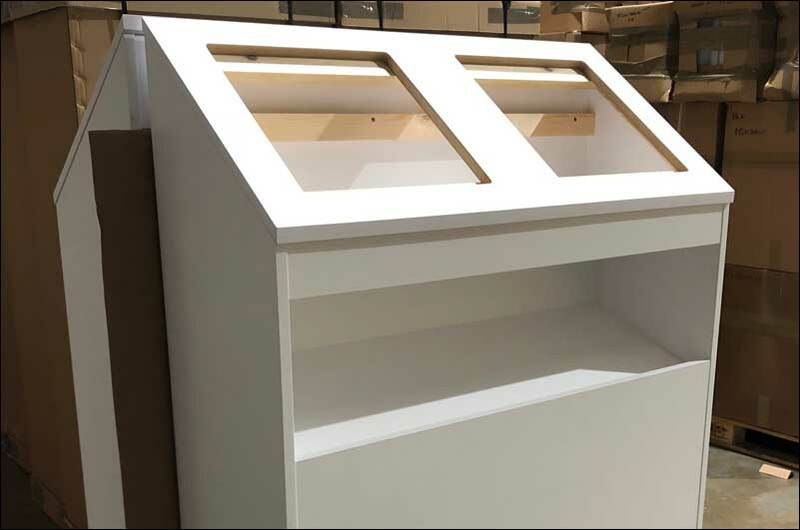 Each of the displays was individually constructed by hand and finished in white. And Mark added: “Merit helped us display our products in a more natural way and ensured the customers could clearly see them as well as having access to brochures. The final product was exactly how we pictured. “These stands will last us for years and the interchangeable boards make it easy to add updates. Our experience with Merit was ‘simple’. They handled everything and to the high standard, we were after.